A multitude of biological systems, such as oceans, soils, prime forests and wildlife, are alarmingly endangered because of our modern consumption behavior. The industrialized nations pollute a far disproportionate share of the planet’s ecological storage reservoirs relative to the worldwide population.To limit the dangerous impacts of climate change, which are already taking place, the international community agreed on a restriction of the global warming to 2 degrees. Accordingly to the analysis of the highest authority for questions of climate change – the International Panel for Climate Change (IPCC) – CO2 emissions must be reduced worldwide by at least half, and in the industrial countries by 80 – 95 percent. An adaptation of our lifestyles is necessary to obtain this target. Facing the enormous ecological as well as the international financial and economic crises, the call is rising for new economic systems, which are ecological and resource efficient, fair and sustainable in a comprehensive manner. Economic systems depend on a multitude of social circumstances and are essentially linked to lifestyles. Therefore there is a need for new sustainable lifestyles that secure modern ecological closed-circle-economy, sufficiency and affluence, but are no longer relying on the economic growth strategies of state and market. Since about 5 years an old, sometimes forgotten economic concept is causing sensation: the commons, which work beyond and in addition to state and market. Ecovillages can be seen as hot spots for an economy of the commons. They focus especially on the preservation, the care and the advancement of ecological and social commons, on behalf of developing sustainable lifestyles and extend them to broadly acceptable ways of life. Besides, there are existing other conceptions of the commons, which are more accommodated to the lifestyles, consumption habits and ideals of metropolitan milieus: The digital and cultural commons movement includes web activists, open source and open hardware movement, modern hacking and Do-it-yourself-movements, Peer-to-Peer economy, Guerrilla Gardening and inter cultural gardens. One case of the new commons movement are ecovillages and other „Intentional Sustainable Communities“ (ISC). Ecovillage means a major intentional or traditional community that is deliberately shaped through participatory processes. They work with local property concepts and have the objective to protect and regenerate the social and natural environment. Today approximately 500 ecovillages are existing in Europe, around 30 of them in Germany. With their aim to establish ways of life which can be continued infinitely into the future or even regenerate the natural environment, ecovillages became models for the establishing of an ecological, social, economic and cultural sustainable lifestyle in the last 25 years. As intentional communities they practice social modes of encounter, that allow a high degree of proximity, solidarity and participation in decision-making and therefore contribute to an ecologically attentive and resource-saving consumption and production habit. To achieve their objectives, ecovillages are acting on broad fields such as ecological design, ecological construction, permaculture, sustainable production and renewable energies. They have often reached a remarkable size and have established independent structures of life, residence, work, economic activity, nutrition and entertainment. In the sector of climate and resource protection they have established their own technical solutions, which have reached a remarkable efficiency of resource consumption through constructional design, social processes or codes of behavior. Ecovillages are places of wide potentials for CO2- reduction and resource efficiency, that can be used for a transformation of society. The solutions which can be found in ecovillages are not only ones of technical-ecological kind, but represent also many cultural and methodological approaches to support participative, empowering processes. In broad parts of society ecovillages are unknown as promoter for innovations and as possible models and places of Education for Sustainable Development. So far the exchange of knowledge and practice of new economic systems is marginal between ecovillages and companies of the sustainable aligned economy. For business a cooperation with ecovillages, ecosettlements and Transition Town initiatives may offer opportunities to benefit from the innovations and developments of these communities for their own innovative processes. On the other hand a cooperation offers the possibility to deploy new technologies in an environment, where immediate utilization and experienced experts helps to adapt new technologies and services. But also the networking and exchange of know-how between milieus oriented towards rural areas and the ones which address the needs of urban milieus (above all in the sector of communication technology) could provide useful impulses for new innovations within the meanings of sustainability. In the beginning of March 2013, e5 launched in cooperation with GEN- Europe (Global Eco village Network) the event series „Sustainable Lifestyles through the Commons“. The series will seek for the innovative potentials of ecovillages and ISCs and make them more accessible for business, science and other Commons activists. It will include several expert roundtables in 2013 and a concluding conference in Cologne on 17/18 October 2013. The events are intended to create a atmosphere for mutual understanding, in which the ecological lifestyle vanguard coming from ecovillages, companies who strongly committed to a sustainable economy and commons activists, who address mainly the metropolitan milieus, may develop together ways of mainstreaming sustainable lifestyles. A subsequent study will explore if ecovillages can provide the basis of intelligible sufficiency strategies and how economic mechanisms can support their implementation. The event series and the study are part of the larger project „Models for sustainable living“ (more information here). 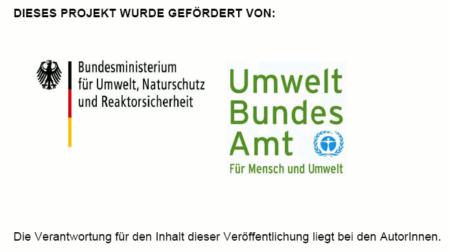 It is sponsored by the German Ministry for the Environment, Nature Conservation and Nuclear Safety (BMU) and the German Federal Environmental Agency (UBA). 21. May 2013 – Commons in Intentional Communities – Side event to the „Economics of the Commons Conference“ (ECC) 2013 in Berlin. More Information here. 26 July 2013 – Community living: social and economic innovations from Ecovillages. Expert Roundtable near Frankfurt/Main. More Information here. 13 September 2013 – Expert Roundtable near Berlin. 17./18. October 2013: Cologne Commons – Commons in Science, Culture and Everyday life. Conference and festival in Cologne.